(3-wire) inputs for greater field flexibility. This relay is normally used in Watts and Vars applications and sometimes with an end –of-interval(EOI) pulse on one channel. 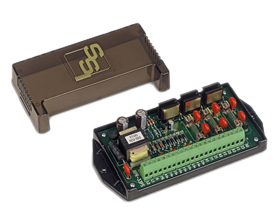 This allows for seamless interfacing of the multiple pulse outputs from the meter. Providing superior Pulse Metering Devices to electric, water & gas, and energy service companies for over 30 years.